Slovenian Prime Minister Miro Cerar said that Slovenia will do everything possible to participate in the Turkish Stream gas pipeline, but now "it's difficult to say anything specific." 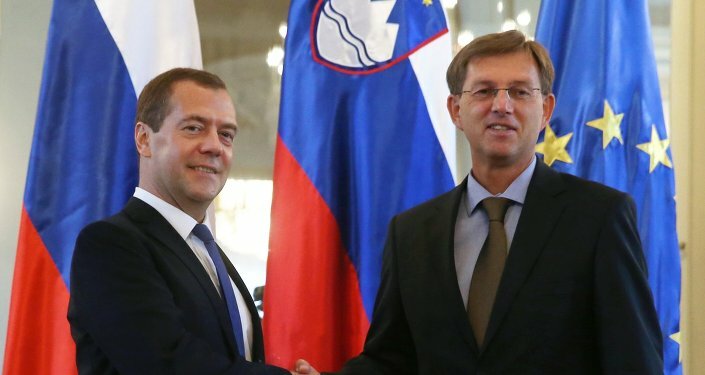 LJUBLJANA (Slovenia) (Sputnik) – It is premature to discuss Slovenia becoming a gas transit country for the Turkish Stream gas pipeline delivering fuel to Eastern Europe, Slovenian Prime Minister Miro Cerar said Monday. “The possibilities of the Turkish Stream [pipeline] are being suggested. I personally understand that Slovenia right now within the European Union, when this communication begins, needs to find its spot starting with assessments so that [Slovenia] becomes a transit company, and if we come to this assessment, then we’ll do everything in our power to participate. But since this thing is still quite far in the future, it’s difficult to say anything specific,” Cerar said at a joint press conference with Russian Prime Minister Dmitry Medvedev.